Kostas here, in the past three days I postponed working on the "dragboxes" project to work on a new idea I had, for which I am actually excited. 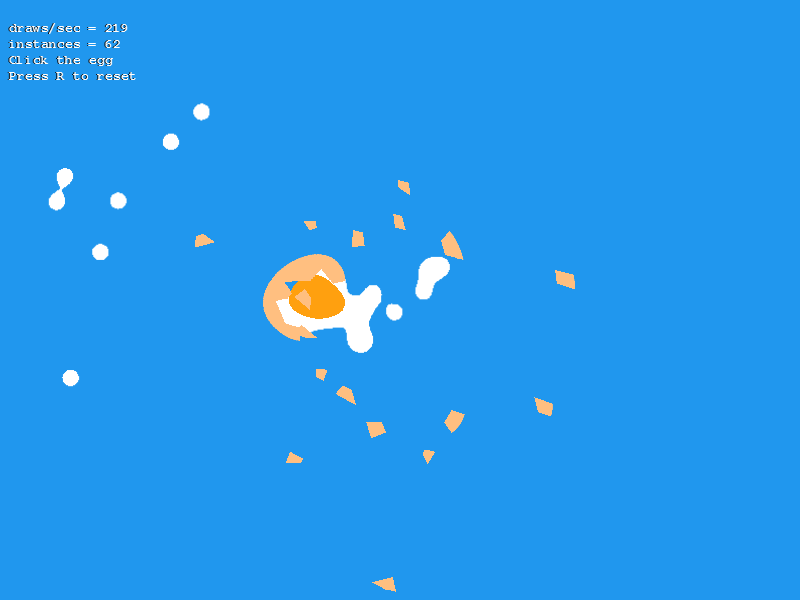 This will be a simple mini-game where you are an egg and fight against enemy eggs using guns. I am going for the fun factor in this game: using interesting weapons, and having a good-looking mechanism for the egg-breaking. The first phase of the project is ready and demonstrates the breaking of the eggs. The first version of the playable game should be ready soon, so check back during the next week. Stick Veterans has only recently reached the "100 maps milestone", a feat for which I need to thank you guys. After loads of work, online multiplayer for Stick Veterans seems to be progressing very well. In fact, it is nearly complete, as showing in recent tests. 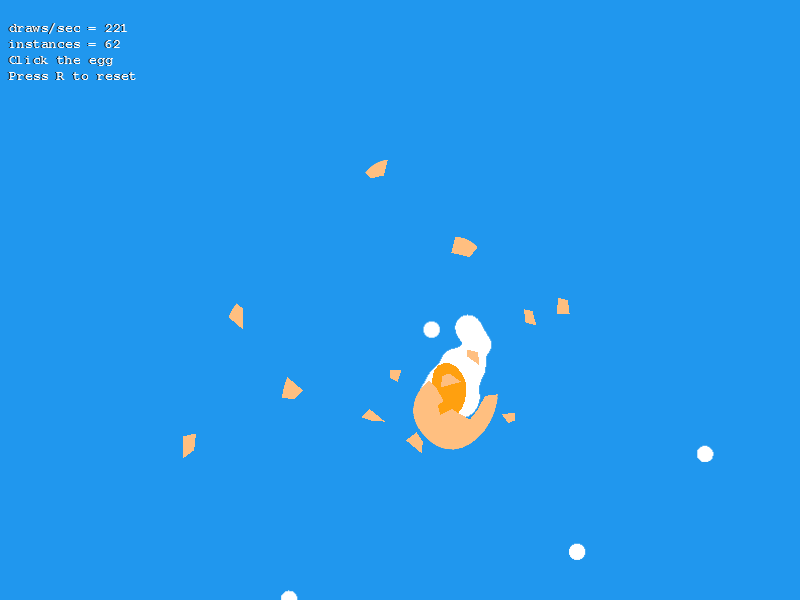 Today I ran the first playtest with 3 people; we connected over Hamachi, a free VPN solution, and it pretty much went smoothly (except for some non-critical bugs). Bad news is that LAN connections might be the only thing supported, with little hope for worldwide online games. I already mentioned that in the game's web pages (Itch.io post / Gamejolt post) but I shall lay down the whole story here. In commercial games, online multiplayer is achieved by putting up dedicated 24/7 servers (preferably in various locations throughout the world) to which the players connect. Found the time and courage to push out another update for Stick Veterans. Version 1.1 brings hand grenades and body armor into the game, among other additions. Finally, a feature called Game Rules has been added. This allows customization of score limit, grenade acquisition rules, respawn delay, and a few more rules. More might be added in the future. To be honest, there were more features that I wanted to include in this update. Seeing how I lacked the time to finish them in a reasonable timeframe, and knowing that there were some pending bugfixes, I decided to push this update as it is. This doesn't make the update any less important, though.